If you’re planning to travel this summer, or even if you’re thinking of relocating permanently, you may want to take into account the availability of vegetarian and vegan resources at your desired destination. 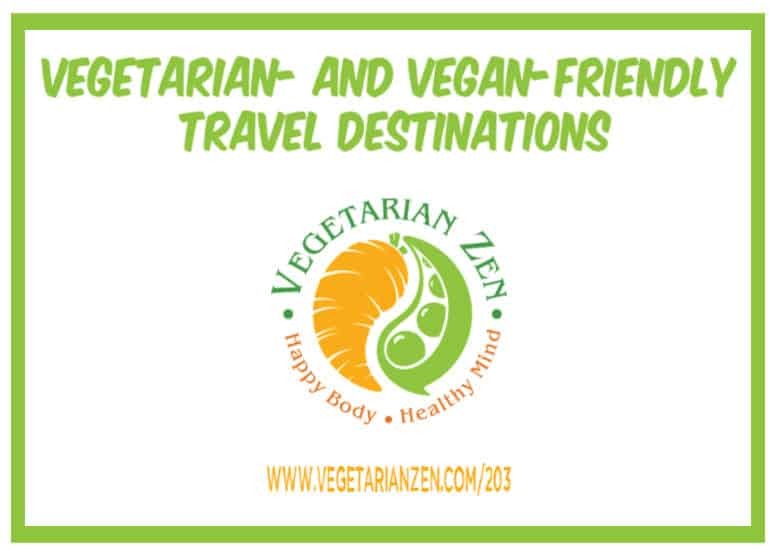 In this episode of the Vegetarian Zen podcast, we share some of the most vegetarian- and vegan-friendly travel destinations. We all have hometown appetites. Every other person is a bundle of longing for the simplicities of good taste once enjoyed on the farm or in the hometown left behind. Question: Do you actively seek out veg-friendly destinations when you travel? Previous Post: « VZ 202: Good Grief, It’s…Granola!